It's a great pleasure to invite you to the 1st International Review of Psychiatry, which will take place in Belgrade, Serbia on 5th -7th June, 2014. 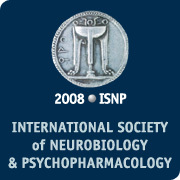 The meeting is organized by the International Society of Neurobiology & Psychopharmacology in collaboration with the Institute of Mental Health, the Serbian Psychiatric Association as well as the Psychiatric Association of Eastern Europe and the Balkans. 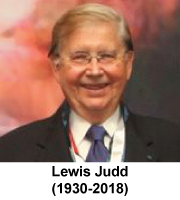 The central axis is the teaching and application of clinical useful new knowledge with special focus on the informed treatment with psychopharmacological agents in a truly multidisciplinary approach. Although the congress will embrace high tech research concerning psychopathology, new treatment methods, genetics and molecular biology, it also aims to put the emphasis on the human factor, both the therapist and the patient. Because apart from the humanistic tradition of psychiatry and allied sciences, the continuous and unconditional investment on the high level training of professionals and the education of patients and their families, has emerged as a significant challenge during the last few decades. Citizen empowerment should be the ultimate goal. Medical scientists and public health policy makers are increasingly concerned that the scientific discoveries are failing to be translated efficiently into tangible human benefit. Today, in an all the more complex and technologically advanced environment, the human factor emerges again as the most valuable one, the factor that determines the final outcome. We count on your active participation through the presentation of your work on any of the thematic topics of the congress. Your scientific contribution will be most welcomed and your particular contributions highly appreciated.